Butterflies: Science On The Wing Some butterflies get their colors from pigments, and others from poorly understood microscopic structures called gyroids. New research is shedding light on how gyroids form, and how they might be useful in building a new generation of electronic devices. Those butterflies flitting around in your yard aren't just pretty. New research shows their glowing colors have profound implications for scientists and engineers. 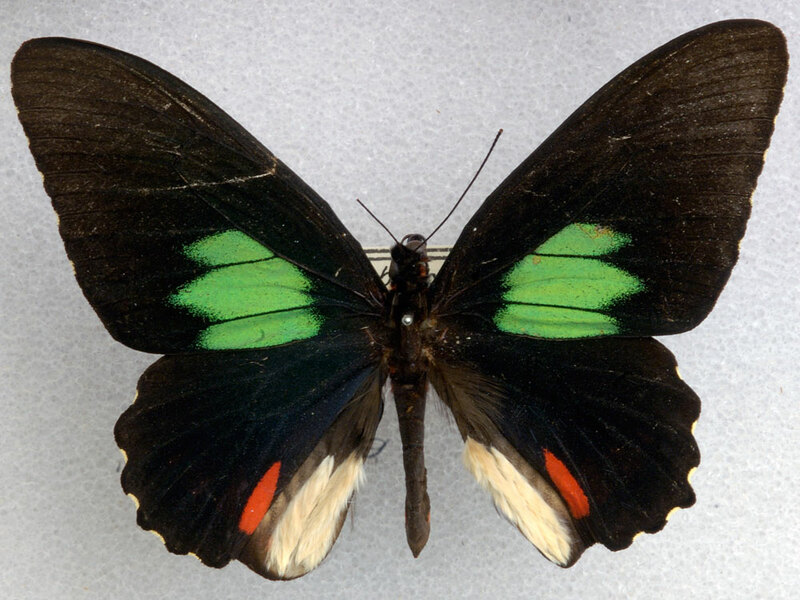 Butterflies get their colors in two different ways. Some, like the monarch, derive theirs from pigments very similar to what you'd find in clothing dyes or paint. 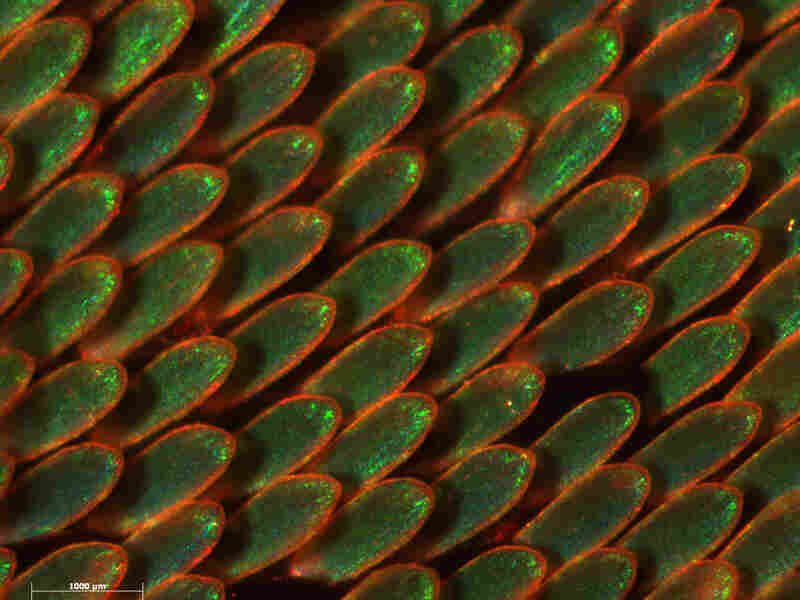 Others, like the Emerald-patched Cattleheart, have what’s called structural color; their colors come from the interaction of light with tiny structures in their wings. "These are colors that are produced like an oil slick, or a rainbow, or one of those iridescent holographic objects on a credit card," scientist Richard Prum tells NPR’s Guy Raz. Prum, an evolutionary ornithologist at Yale University, is the leader of a team that’s been studying these tiny structures, called gyroids. "We're still trying to wrap our brains around gyroids and what they are," Prum says. The shapes were first identified by mathematicians back in the 1970s, and Prum says they seem to have evolved separately in several lineages of butterflies. "It's a Swiss cheese," he adds, "with spiraling channels of air traveling through it that intersect one another. But those channels actually travel in three different dimensions through the cheese, and what you end up with is this very complicated form left behind, and that form is a gyroid." And while the idea of butterflies with Swiss cheese wings is slightly strange, Prum says it's a very useful one for scientist and engineers looking for the next leap forward in electronic technology. But a layer of gyroids around the fiber-optic cable "would act like a perfect insulation to that fiber," Prum says. The same tiny structures that give the Emerald-patched Cattleheart its lovely green patches could also be used to keep green light from escaping a fiber-optic cable. "If you could grow one, at exactly the right scale, as butterflies do," says Prum, "you could make these things a lot easier."